As I write this, Dr Tahirul Qadri is moving towards Islamabad with thousands of supporters. Nobody is certain about the fate of this much publicised and controversial political game. Commentators are busy analysing this sudden political gimmick and predicting various consequences of this development. Most major political parties are opposing the march. No one can deny the importance of public pressure over the ruling elite which can serve as an important corrective mechanism if exerted the right way. But the sudden emergence of Dr Qadri and the ambiguity of his ultimate agenda have raised many questions in the minds of people. At this point in time, the country is passing through a difficult time and the common man is being crushed under the weight of multiple problems. Day to day living has become increasingly difficult: utilities are not available, job markets are saturated, and inflation runs high. The common man has little to gain from the toppling of regimes or the postponing of proposed elections. The common man’s only concern is the day-to-day misery which he has to face. 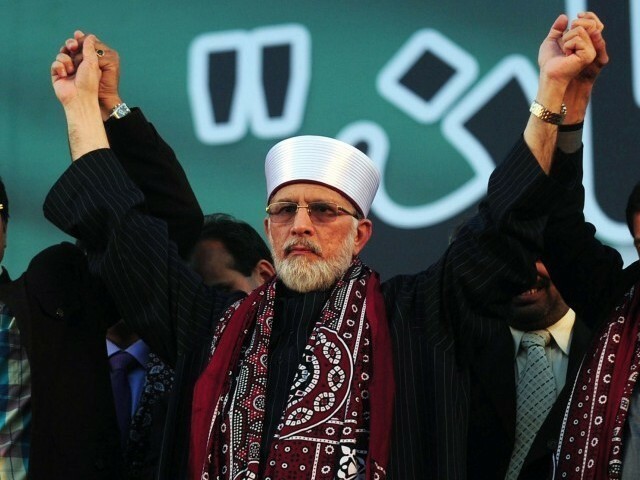 He dreads that Qadri’s political ideals might just backfire to worsen his already difficult life. Qadri’s modus operandi seems quite democratic. However, his timing and sudden emergence from abroad, as the masses were in search of a ‘crusader’ to rescue them from the clutches of oppressors, invites some suspicion. Hence, Qadri should be welcomed in Islamabad by all people,though he would do well to focus on providing relief to the already stricken people rather than aggravating their miserable situation by playing into the hands of invisible actors. Read more by Peer Muhammad here.